If you have a problem with drugs or alcohol, you are not alone. Alcoholism and drug addiction affect millions people in the United States alone. Fortunately, there are many treatments available to help you. One highly successful treatment is called a 12 step group. During the 12 step process, you will learn how to live your life drug and alcohol free. The 12 step process is a type of addiction treatment that involves addicts helping other addicts by using the guiding principles of the 12 steps. These programs provide a step-by-step way to recover from an addiction. The 12 steps and 12 principles are a guide to sobriety. In order to understand what the process is you need to understand how the process works, why the process works, and how to start the process. How Does the 12 Step Process Work? A solid support structure guides you step by step in your recovery. Once you feel you have accomplished a step, you move on to the next one and repeat the process. Although this seems like a lot of work, you do not have to do it alone. All you have to do is call 800-653-7143. Why Do 12 Step Programs Work? 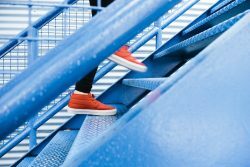 In several studies, participants in a 12 step program—when combined with other treatment programs such as inpatient or outpatient treatment and counseling—have a much higher success rate than those who do not attend any treatment. How Can You Start on the 12 Steps? Enrolling in a treatment program that has 12 step meetings is an excellent way to start on your recovery. Although most 12 step meetings in recovery centers are designed to be welcoming for new people, there are actually specific meetings meant for newcomers. These meetings are open meetings for anyone who wants to attend. You can benefit from the 12 step process and end your addiction simply by calling 800-653-7143. We can help you find the 12 step program that is right for you. Is a 12 Step AA Program Right for Me?